gravitytank reinvented the F&RL form to bring confidence, guidance, and reassurance to families completing it. 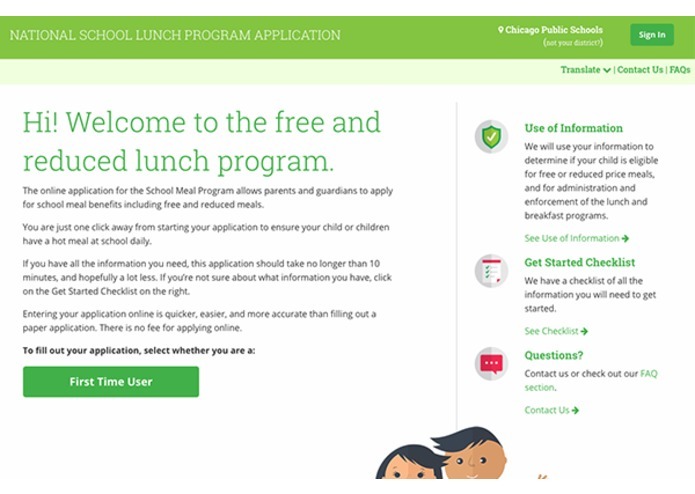 After hearing about Lab at OPM’s success in utilizing a design thinking process to redesign the national school lunch program paper application form, the team at gravitytank was excited to use a similar process to take the form digital as part of the E.A.T. School Lunch Challenge. Beyond extending form accuracy, going digital uncovers unique challenges and opportunities for additional improvements. Our team approached the challenge with an interdisciplinary team of designers, researchers and strategists. We explored analogous examples from TurboTax to Domino’s ordering to understand best practices in digital applications and forms. We conducted multiple rounds of research with participants of the program, iterating our design from paper prototype wireframes to clickable screens, to build empathy for the user. This process helped us understand both the technical and intangible pain points of the application, and how we can best solve for them. From our interactions with applicants, we learned that there’s more to filling out the application than just the form itself. Their experience begins before they even start the form and lingers past completion. 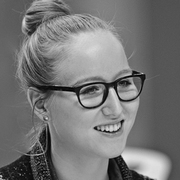 In order to create a compelling experience we needed to consider all parts of the user journey. To unpack the experience from start to finish we used an experience design framework to look at how users are entering the journey, engaging in the journey, and exiting the journey. At each part of the journey there are unique pain points and needs. 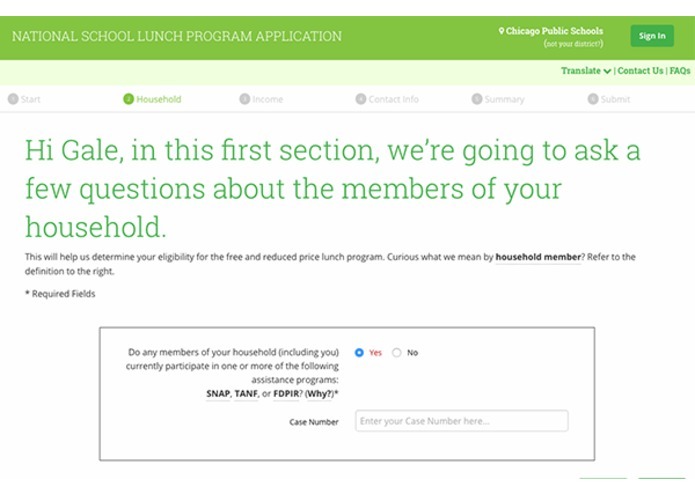 Enter Prior to starting the application, users have to first understand what the program is and what information needs to be collected, including the terminology and acronyms (household, SNAP, TANF). 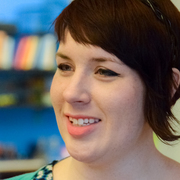 Users have to gather that both for themselves and from family members living with them, which can feel overwhelming. 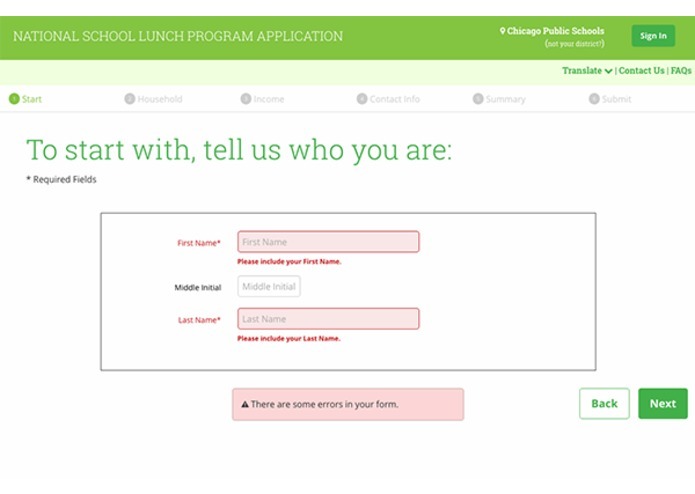 Engage During the process of actually filling out the application, we learned that users feel intimidated. The application asks for sensitive information- including social security number, income, child status- which can lead applicants to feel uneasy about completing the form. In addition, the logic of the form is complicated, making users feel nervous that they’re skipping necessary questions. Exit The challenges of filling out the form don’t end with the submit button. Users were often left uncertain about whether or not they completed the application correctly and when they’ll hear back about their eligibility. This made it difficult for them to plan and manage meals for their child during the interim period. 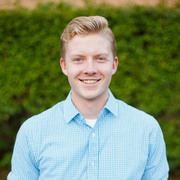 In order to address the needs of users, the team created a set of principles to inform the design and feature development of the online application. Confidence - Help users clearly understand the goal of the application and what information is needed to start. Guidance - Create a supportive experience that only requires users to accurately fill out what's truly necessary and helps them understand why information is being collected and how it will be used. Reassurance - Build in cues that let users know they submitted the application right and what to expect in the days ahead. Our solution was developed around offering users confidence, guidance, and reassurance throughout the experience. Going digital gave us the opportunity to reduce the complexity of the application and furthermore create a seamless experience for the user. Home Page The home page welcomes users with friendly language and imagery to ensure users feel comfortable with the application process. A number of linked resources on the side bar are included to help users gather information and get started. Resources include checklists of relevant information, definitions of terms that are hard to understand and an FAQ. At the bottom of the page there are paths for new and returning users. Returning users can access their saved information from a prior application (this will be described in more detail below). Overall, a bright green color palette is used to represent health, food and bring vibrancy to the application. The slab serif typeface creates a friendly and approachable tone. Basic Information The user’s name is asked upfront. The name can then be used in future questions to build in comfort and familiarity. The progress bar up top helps provide guidance on where the user is in the process. Household Information To help guide the user, a description is given of what the household section is about. 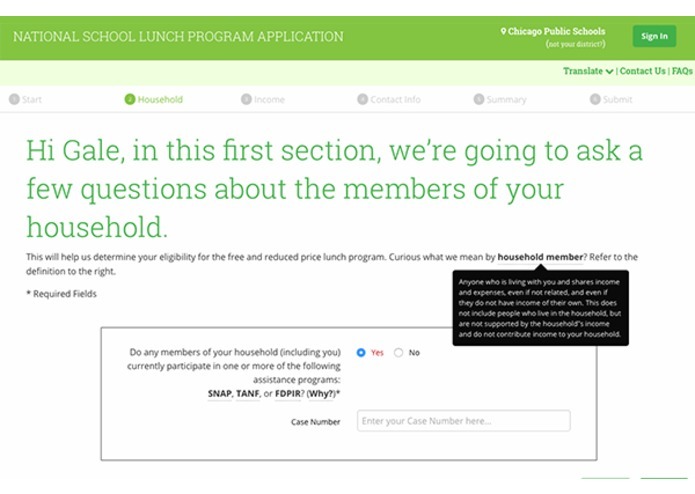 Since participation in an assistance program qualifies for eligibility, putting this question first allows users to bypass other questions later on. Only if users select yes, does a case number field pop up thereby only showing users what they need. Number of Children Users are asked to input the number of children using clear visuals. The increment buttons, instead of an open number field, engages the user in counting thereby helping to reduce error. Rollover definitions are available if any clarity is needed, a design interaction provided throughout the survey. Name of Children The number of child information fields correspond with the number of children entered on the previous screen, preventing omission and confirming their previous answer. 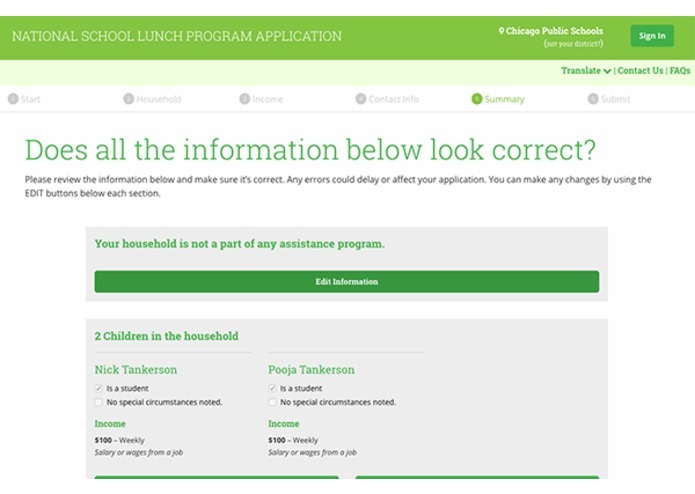 If users select the assistance program or have status as a foster or homeless the children's’ names would be entered and the form would skip over the rest of the questionnaire straight to contact information. 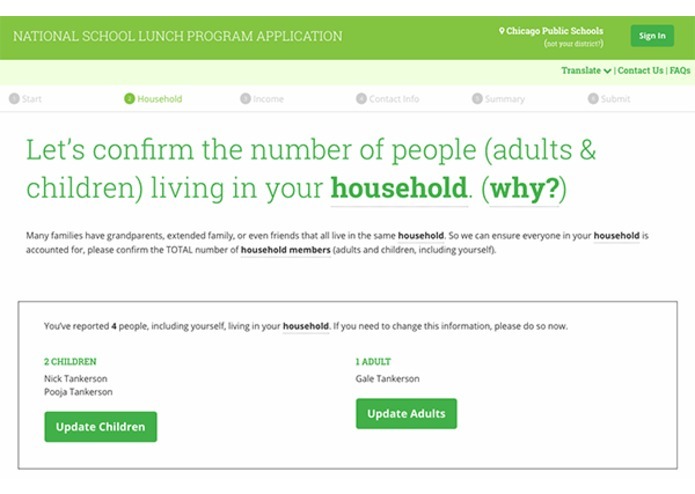 Number of Adults Questions about adult household income has been moved out of the income section to the household members section since it makes logical sense to describe all household members at once. Similar to the children names, the corresponding number of fields are shown. The last step in the household section is confirming the number of people in the household. If users forget someone, they are able to correct it immediately. This builds in checks and balances throughout the application. 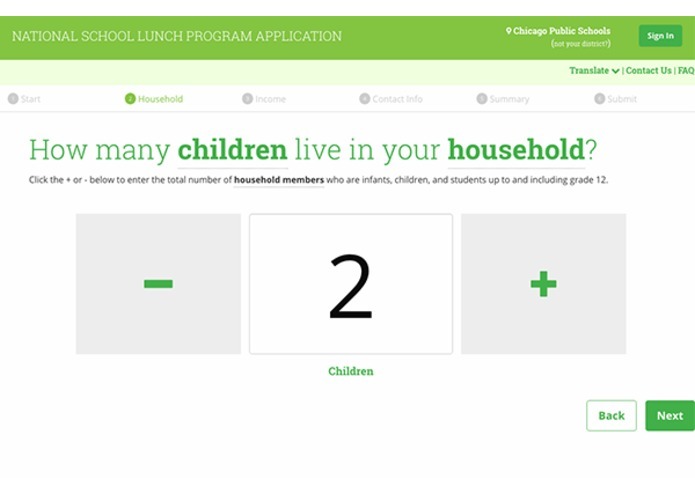 Children’s Income At the start of the income section is a detailed definition of income. Definitions and guidance helps users understand what this section is about and account for all forms of income. First the children’s income is accounted for. Users can easily indicate if they do receive income. If they indicate yes, then a field below appears to help input what type of income and how much. In the spirit of guidance, all sources of income are listed out so the user is prompted to think through each type, helping to jog their memory. Adult Income The last step in the income section is entering the the last 4 digits of your social security number. A detailed explanation is included here to make sure users don’t drop off and to help build their confidence. Contact Users are prompted for their contact details and a description is given of why they are needed. Throughout the survey fields are pre-populated with known information for convenience and ease. Summary Here the user can see a total summary of all the information in the application. Users are reassured that all their information is there and recorded properly. Users are also given the opportunity to adjust anything if needed. Submit The final step of the application is the submit page where users are asked for their signature. 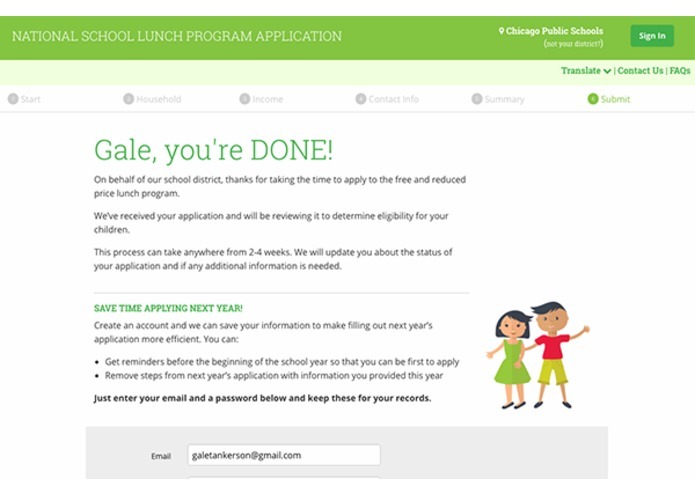 Follow up email - School districts can email users about where their application is in the process and remind them when it’s time to apply the following year. Both processes can be automated. Account - We also recommend the ability to create an account. Information can be saved making it easier to apply next year.